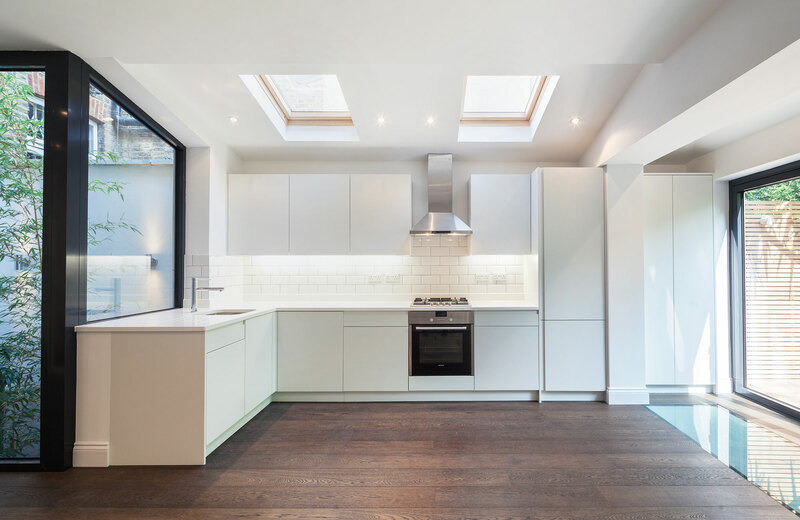 This Victorian terraced house was set over 3 floors, the developer wanted to convert the property into 3 flats to maximise its sales potential. Planning for this was tricky but successfully gained by using a series of applications, mixing permitted development and planning followed by change of use to achieve the client’s aspirations. 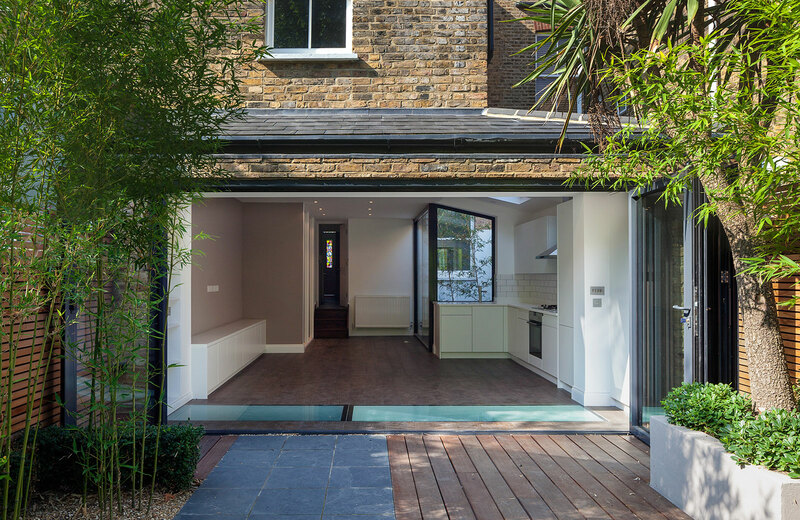 A basement was added, with ground and first floor extensions (with a roof terrace) and a dormer to the roof, this vastly increased the size of the property facilitating the split into 3 apartments. The ground and basement flats were made into two duplexes, which by using floor lights and courtyards achieved outlook and light levels that surpassed planning, both units selling within weeks of being on the market. Coupdeville chose all fixtures and fittings giving a luxury feel within budget to suit an end user rather than feeling like a development Nigel Gomme of Cityscapers, designed the garden to add a luscious green environment that gives a sense of personal space, the courtyard planting adds privacy from the flats above.